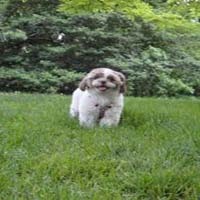 Enjoy the lovely spring or summer weather with your darling pet by visiting any of these off leash dog parks in NY. Search for all the information you need to know about dog parks in New York. 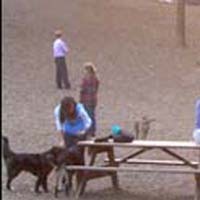 A Great NY Dog Park that's Open All Year Round! 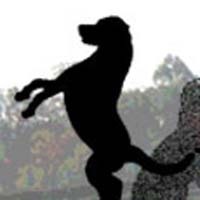 Located within Hudson River Park in NYC is the Leroy Street Dog Run, where all your dogs are allowed to be off leash in certain designated areas. The dog run features a double-gated safety vestibule, with fences all around. 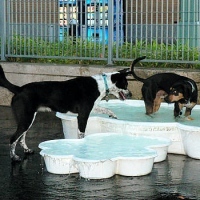 From mid-April to early November, fresh running water is generally available to all the dogs. The park prohibits all spike or pinch collars, aggressive dogs, female dogs in heat, and food and glass bottles. The Leroy Street Dog Run is open every day of the year, from 6 A.M. to 1 A.M. If you take the 1 Train, the Houston Street Subway Station is conveniently located nearby. There is so much fun in dog walking. Some of the dog owners have dog walkers. But it’s not a good idea to miss the joy of watching your little friend having fun in a wide-open space. And for this there is a wonderful dog park in New York. It’s The Tompkins Square dog run. 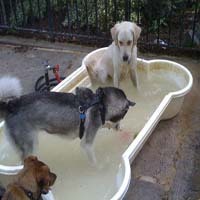 It was the first of 55+ dog parks opened by the New York City Department of Parks & Recreation. That is why it’s also known as ‘First Run’. This park has a very large area, a crushed granite surface and three doggie pools that are bone shaped. It also has a very convenient dog wash near the exit. Dog walking is so much fun. There are so many choices for the dog walkers in New York. One of them is Fish Bridge Park Dog Run. It’s one of the great dog parks in New York. It is a good off- leash dog park. There are plenty of sitting arrangements for dog owners, enough water for dogs, lots of shade during the summer, portable dog pool, area to hose of your dog, good fencing, gates & entry area. Lots of people come here every week. It’s a good option for recreation for your dogs and for you also. Dog walking is fun. Even if you have a dog walker it won’t be a good idea to miss the joy of watching your little master having fun in open space. And for your dog there is a heaven in New York. It’s the Prospect Park, the best dog park in New York. It has a large open space to walk, a place to swim named the Long Meadow Dog Beach at the Pools. The swimming option is for dogs only. Prospect Park also has off- leash hours during 9 p.m. to 1 a.m. and 5 to 9 a.m. daily in Long Meadow, Nether mead, Peninsula. 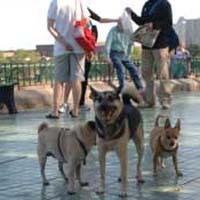 Dogs have to be on a leash 6 feet or shorter during regular hours and there are non off- leash areas during off-leash hours. Otherwise you may receive a $100 fine for an unleashed dog summons. Many of us have a dog. We know what pleasure it brings to us. So it is our responsibility to get some good time for him too. And this good time can be at Dog Run 105. This is a wonderful Dog Park in New York. It has a well-designed area with a crushed-stone surface. There is water for people as well as pets. They have a group of volunteers. Those volunteers organize different kinds of events. And it’s not only in summer. They organize those events throughout the year. The park is open from sunrise to 1 a.m. It has the advantage of 24 hour, 7 day off- leash hours for dogs. 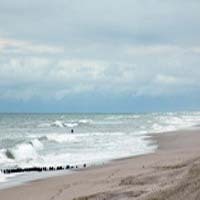 It is a great place for enjoyment for you and your dog. Hundreds of people come here every week. They visit this park for recreation use and to socialize with their neighbors. Little Bay Park Dog Run is a truly scenic dog park in New York. It’s a great park. 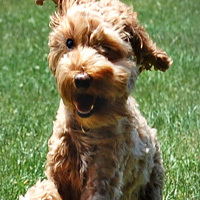 It has a safe environment for the off- leash exercising of your dog. This dog run has been a huge success since its opening. You will understand the reason after coming. This park is really beautiful; it’s bordered by water on one side. You can have a wonderful view of the Throgs Neck Bridge from here. So you can say it’s a treat for your eyes. So don’t wait. Come to this park to have a great time with your puppy. It’s been said that dogs are man’s best friend. And they say it right. So you should treat your best friend with a little extra entertainment. And that entertainment can be the Wolfes Pond Park. It is one of the largest Dog Parks in New York. It has so many attractive features. Some people think it is a beautiful beach, some think it is a wildlife and plant preserve and some other people think it is a relaxation area that has a lot of space to run, jump, and climb. So don’t hesitate. Take your little friend here and enjoy, both of you. You can have tremendous pleasure in dog walking. Some of us have dog walkers. But is it a good idea to miss the joy of watching your sweet little puppy roaming around in the open space and enjoying himself? No, it’s not. And that’s why you have Astoria Park. It is a great Dog Park in New York. This Park is maintained by its users, not by park officials. 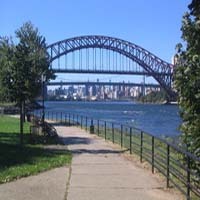 This park is located in the shadow of the Triborough Bridge. This dog run has nice views of Upper Manhattan and Wards Island. So it is a treat for your eyes too. Walking dog in an open place is so much fun. You cannot imagine the joy of seeing them roaming around happily in a wide space. Sir William’s Dog Run is a great option for this. 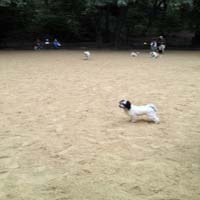 It is one of the oldest Dog Parks in New York City. This park is almost an acre of fenced- in open area for dogs. There are lots and lots of shady trees under which dogs can roam around. It has a separate area for small dogs. Owners meet in a special gathering, on the first Sunday of each month. The park is open from sunrise to 1 a.m. Owning a dog is so much fun itself. But it is a responsibility too. All of us know that dogs like the outdoors, most especially if they’ve been cooped up in a tiny, hot apartment all day. For these little puppies there is a great Dog Park in New York. It is the Seton Park. The location of the park is very good for medium size dogs. It gives them enough space to roam in the fenced in area of the run. Seton Park isn’t just an exercise yard for dogs, it also give you space to have fun. The park is open from sunrise to 1 a.m.